Chisholm Place is a warm and welcoming memory care community located in a beautiful residential neighborhood near the Wilson Estates Medical Park. Moments away from the Bradley Fair shopping center, we are easily accessible by both interchanges of the 96 Highway and Kellogg Avenue (U.S. 54 Highway). We are proud of our reputation for providing truly person-centered care. What does that mean for your loved one? It means that all facets of his or her life are taken into consideration in everything we do for them; from personal care to therapy to life enhancing activities. Our proximity to the Bradley Fair shopping center provides numerous opportunities to bring your loved one out into the community. And, our natural setting in a lovely section of Wichita provides a peaceful sanctuary for residents and families alike. Much of our success can be attributed to highly effective person-centered programs established within and outside our community. Through these programs and the passion of the people running them, we have been able to re-invigorate and forge new paths to recognition and communication for our residents. Our “Better Together” active volunteer programs tap into a talented base of young people throughout Wichita who have an interest and a desire to serve in memory care. And, we’re big believers in the therapeutic effect of animals on our residents. That’s why our therapy animals visit regularly, connecting with residents and bringing a smile, as only animals can do. 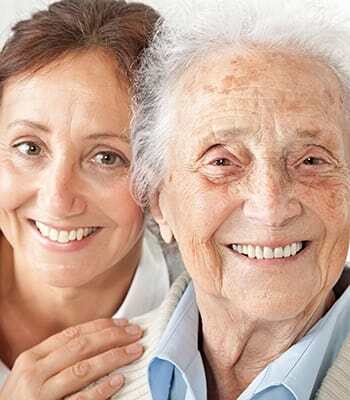 At Chisholm Place​ we believe in nurturing our staff of caregivers as well as our residents. All those who live and work here are treated with respect and love. The result is a truly caring supportive “just right” environment for your loved one.